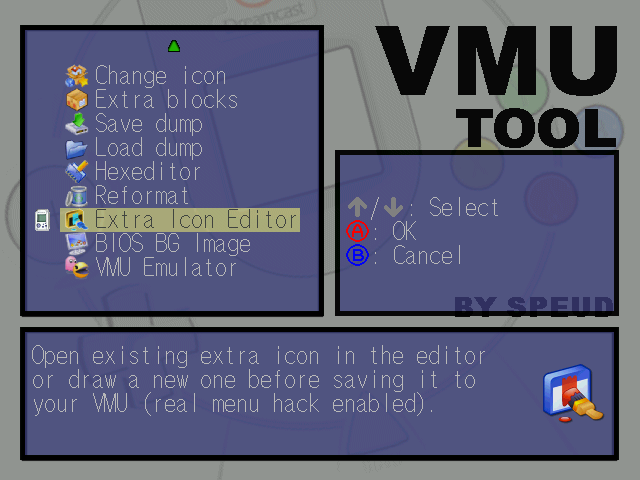 Select the VMU that already contains a ICONDATA_VMS file, or select the VMU you want to save a new ICONDATA_VMS file to. The ICONDATA_VMS file is the file the Dreamcast boot menu loads to display an icon on your VMU screen. Select the "Extra Icon Editor" option. 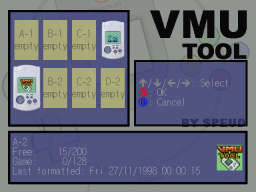 The selected VMU will be scanned to look for an existing ICONDATA_VMS file. If file is found, icon will be loaded in the editor. If no find is found the editor will create a blank icon. Select the drawing color with the Y button. Keep A pressed to start drawing, release it to move the cursor without drawing. If you press the L trigger colors will be inverted: green pixels will become blue and vice versa. 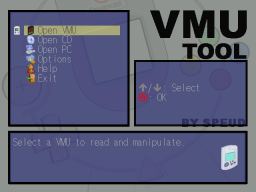 If you press R trigger the icon will be cleared with the selected drawing color. 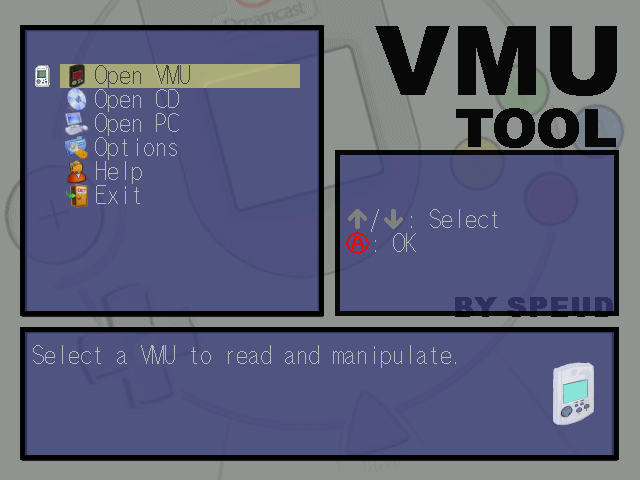 You can write text by typing with the Dreamcast keyboard. Use the analog stick to scroll the icon and center it as you like. Once you finished editing your icon press Start to save the file. Or press B and confirm with Start to quit editor without saving changes.